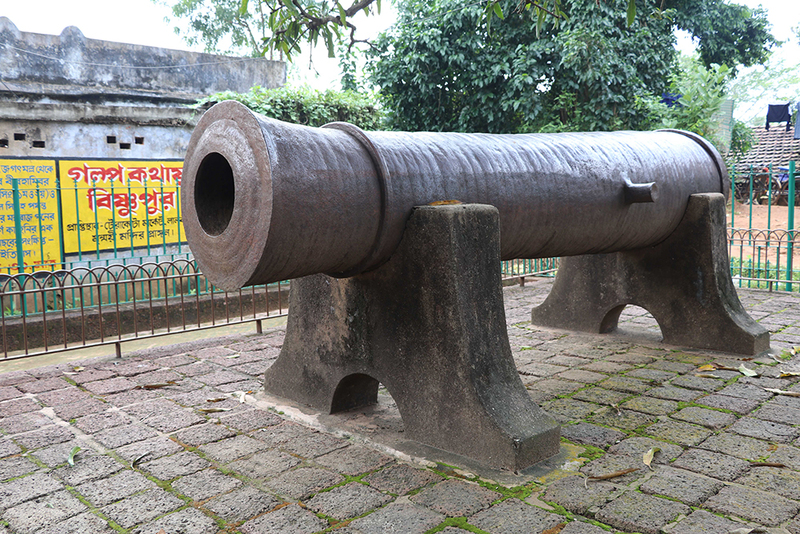 Bishnupur is located in West Bengal. The name of Bishnupur is derived from the God, Vishnu. The Malla ruler rules this place hence it is also known as Mallabhum. It has the unique architecture and is known for intricate terracotta temples. It is said that King Bir Hambir started building these monuments in the early period of the 17th century. He was a ruthless king who turned into a benevolent worshipper of Lord Vishnu after taking Vaishnava Diksha from Shri Chaitanya. He built the Ras Mancha in 1600 CE and later during the reign of king Raghunatha Bishnupur came of age as the centre of artistic excellence. Bir Singh built a fort to protect this town. Here are bandhs or lakes built by the Malla rulers and we encounter a beautiful stone chariot that welcomes us into the town. The chariot is 3 storeyed. The upper two signify the Ekaratna temple style and the lower level resembles the colonnade at Rasmancha. The laterite is neither smooth nor bright like the marble but it has a unique colour and texture. The way Bishnupur architects have visualized different forms in this material is stunning. There are about 30 temples made in different styles here. Rasmancha is unique and cannot be classified into one structural pattern.